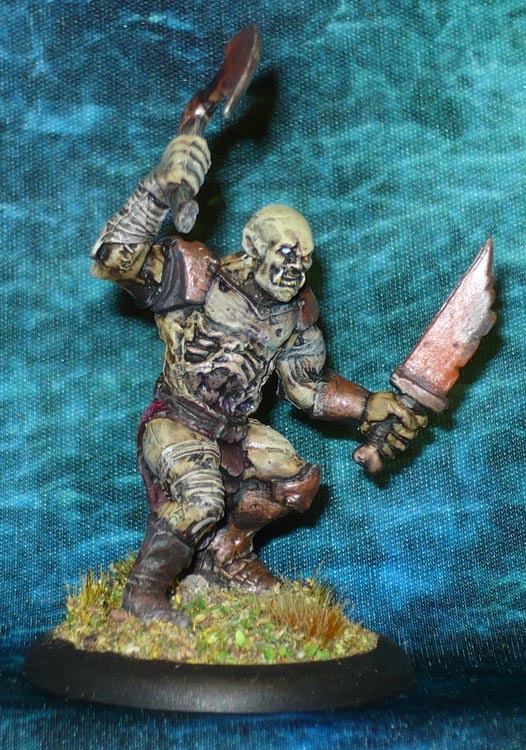 This is one of those minis I should have been all over like a cheap suit, but for some reason I have been putting it off and off and off. Somthing with the minis was just wrong, but I could not put my finger on it. It is a single piece cast, and that means that the weapons sometimes are held a bit strangely. In a fit of inspiration I just chopped that axe hand off and rotated it a bit. Suddenly the pose was ok and the mini went to the paint shop. 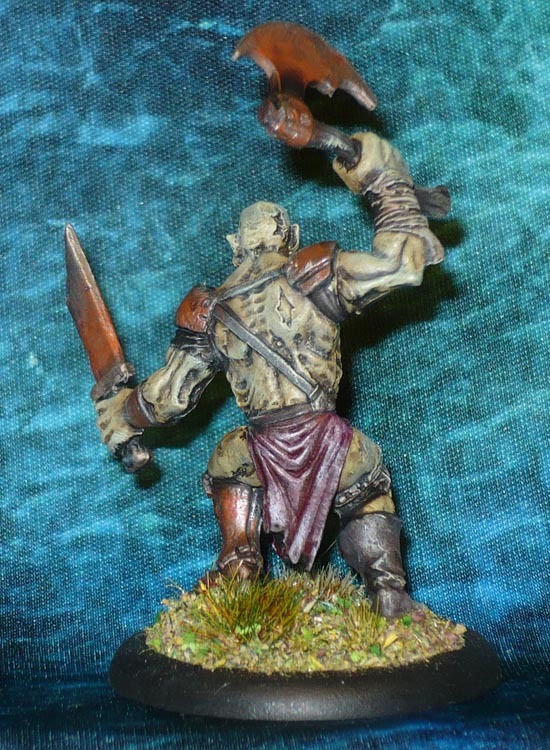 One rotten ogre done and dusted.